You and your friends are movie stars, the very best actors in the business (well, that’s what you think)! After being sent to Southeast Asia to make a Vietnam War film, you are dropped into the middle of the jungle and left to fend for yourselves. This may look like a movie-set but the dangers are real. 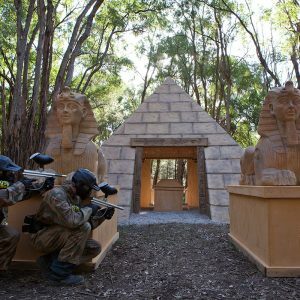 Will you safely escape the perils of the jungle, or will you be captured by the local-warring villagers?